Healing by Gentle Touch reduces Stress & Pain! Healing by "rubbing it better" really could help treat injuries and illnesses - a new study. New research by the University of Cumbria has shown that the gentle touch can not only soothe minor injuries, but can also lessen stress and pain. According to the researchers, their tests showed that patients' symptoms improved when treated using this technique. For the study, 300 patients with a wide range of ailments were given four hour-long treatment sessions within six weeks at the Centre for Complementary Care in Muncaster, Cumbria. Analysis showed that there was considerable progress in psychological and physical functioning, mainly in stress reduction, pain relief, increased ability to cope and increased general health. The researchers said that the most significant improvements were seen in patients with the most severe symptoms when they entered the study. The team further examined patients with cancer, musculo-skeletal ailments and mental health disorders or psychological stress and showed clear benefits of the technique. Gentle touch healing is based on sessions of about 40 minutes in which complementary medicine experts apply light, non-invasive touches to the patient's head, chest, arms, legs and feet. And the benefits of the therapy range from improved sleep and reduced pain levels to increased energy levels. 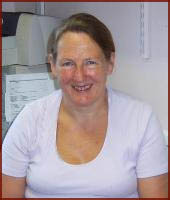 "On the basis of this sound evidence, healing by gentle touch should play a part in the treatment of people with cancer, mental health problems or a wide variety of illnesses where help with pain or stress reduction will enhance their well-being," the Telegraph quoted Helen Leathard, a professor of healing science at the University of Cumbria, as saying. "The treatment provided at the Centre for Complementary Care is beneficial and well regarded by many doctors and nurses in the Cumbria area. But it is very definitely complementary to conventional medicine and not a replacement," she added. Objectives - To evaluate the effectiveness and safety of healing by gentle touch in clients attending The Centre for Complementary Care (CCC) in Eskdale, Cumbria. Study design: An evaluation of data collected by questionnaire over 6 years. Methods: All clients attending the CCC between 1995 and 2001 were invited to participate in this study, and data were collected from 300 subjects with a wide range of ailments who received four treatment sessions within 6 weeks. Exclusion criteria were: recent treatment at the CCC; failure to complete four treatment sessions; and age under 16 years. Outcome measures included comparison of pre- and post-treatment levels of physical (pain, disability, immobility, sleep disturbances, reliance upon medication, daily activities) and psychological (stress, panic, fear, anger, relaxation, coping, depression/anxiety) functioning; these were assessed using a questionnaire with visual analogue scales for subjective rating of symptoms and the EuroQoL (EQ-5D), a generic state-of-health measure. Results: Wilcoxon signed ranks tests showed statistically significant improvements in both psychological and physical functioning, particularly in stress reduction (median stress levels fell by four points), pain relief (median pain ratings fell by two points), increased ability to cope (median improvement of three points) and increased general health ratings (median improvement of 20 points) between study entry and end of treatment (P<0.0004 for all these symptoms). The most substantial improvements were seen in those with the most severe symptoms at study entry. No adverse effects of treatment were documented. Conclusions: This audit of treatment outcomes provides evidence consistent with the hypothesis that healing, as provided at the CCC, was associated with improved psychological and physical functioning in the majority of subjects, and is worthy of further evaluation. Previous studies on healing by gentle touch in clients with various illnesses indicated substantial improvements in psychological well-being, suggesting that this form of treatment might be helpful for people with impaired quality of mental health. The purpose of this study was to evaluate the effectiveness and safety of healing by gentle touch in subjects with self-reported impairments in their psychological well-being or mental health. One hundred and forty-seven clients who identified themselves as having psychological problems received four treatment sessions. Pre- to post-treatment changes in psychological and physical functioning were assessed by self-completed questionnaires which included visual analogue scales (VAS) and the EuroQoL (EQ-5D). Participants recorded reductions in stress, anxiety and depression scores and increases in relaxation and ability to cope scores (all P < 0.0004). Improvements were greatest in those with the most severe symptoms initially. This open study provides strong circumstantial evidence that healing by gentle touch is safe and effective in improving psychological well-being in participants with self-reported psychological problems, and also that it safely complements standard medical treatment. Controlled trials are warranted.